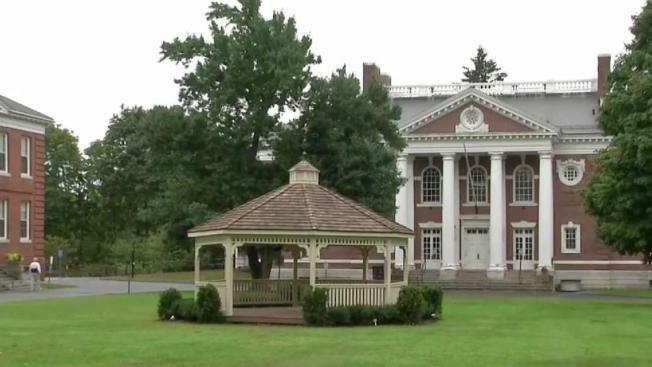 A brand new gazebo in the center of Lancaster, Massachusetts, did not cost the town a cent, but not everyone is happy with the addition. The oldest town in Worcester County has an appreciation for history. A church in Lancaster was erected in 1816, and the library was built in 1867. A gazebo was built in 2018, but it's not appreciated by everyone. "When I drive by, I think 'Oh, that looks beautiful, too,' but it's in the wrong place," said Heather Lennon, chairwoman of the Lancaster Historical Commission. The gazebo on the town green has been there for a few weeks. "The gazebo is actually a gift as part of a site location agreement with Netflix," said Town Manager Orlando Pacheco. Netflix is filming a new series in Lancaster. The show's plot that has been kept under wraps, but Pacheco said it's an adaptation of "Lord of the Flies." The gazebo is one of their temporary props, but it could become permanent. "I know people who have lived here for years," said Audrey Hart. "They like to keep that old New England look." Lennon said it's important to keep the green "as it has been for a couple hundred years." "I would like people to consider the bigger picture and the future use of the green for generations to come," said Lennon. According to Pacheco, the town will either keep the structure where it is, move it or give it back to the production company. That decision will be made when filming wraps up in December. "What I've heard form the public at large has been overwhelmingly positive in terms of its location today," said Pacheco.